As you go through life–and I know you will–you will often find it necessary to exercise Give-a-Damn-Ship (“GADS”). The practice is sometimes referred to as “Give-a-____-Ship,” although this usage is discouraged in order to spare impressionable children and the frail elderly who use the internet to give away their life savings. WIFE: . . . so I took the fabric samples back, but now I’m thinking that for the living room curtains–you’re not listening to me, are you? HUSBAND: Huh? Sure I was–you were talking about decorating or something, and HOLY CRAP! IRVING HIT THE THREE! WE’RE GOING TO OVERTIME! HUSBAND: . . . so this could be a really big deal. I mean, literally years of hard work pays off with a great new client. 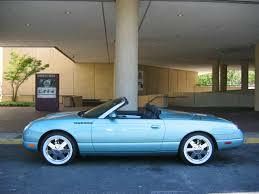 Maybe I could finally afford that robin’s egg blue Thunderbird roadster I’ve always . . . WIFE: KEVIN–IS YOUR HOMEWORK DONE? SON: (from bedroom, with repressed hostility) Almost. WIFE: WELL, DO IT! I’m sorry–you were saying something about work? Or something . . .
Outside the warmth of the home, however, we must depend on the kindness of strangers, Blanche Dubois-style, for business, professional advancement, and sexual favors. I mean human companionship. That is why an understanding of GADS is so important to your personal and professional development. 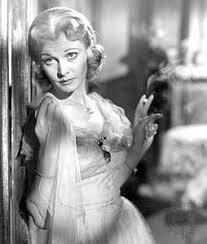 Blanche DuBois: You, like her, must depend on the kindness of strangers. PROSPECT: So I’m sort of on the glide path to retirement right now. PROSPECT: Trying to bring it in for a soft landing. Then, when Marguerite and I have the time for it, we hope to realize our dream. 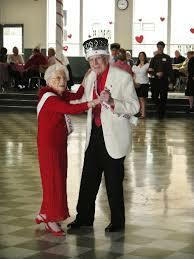 PROSPECT: (Pauses, unsure whether to open his heart, then abandons caution) We want to be Ballroom Dance King and Queen of the Ferndoc Place Assisted Living Facility! YOU: Super! So, can I put you down for two or three container shipments of the medium-size binder clips? The workplace has become a minefield of potential liability for those who are unable to practice GADS, as the slightest misinterpretation of a glance, gesture or ambiguous word can touch off a company-crippling sexual harassment lawsuit. 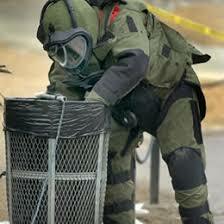 YOUNG WOMAN: So my fiance has been spending a lot of time in New York lately. YOUNG WOMAN: Yes. He even got an apartment there. YOUNGER WOMAN: I know. Do you think I should be worried? YOUNGER WOMAN: He brought a strange child home last weekend–he said it was a “loaner” his secretary wanted him to try out. You–you seem so–solid, and stable, and dependable. And affluent . . . OLDER MAN: (Clears throat) I was wondering–is Viagra sold over-the-counter, or by prescription only? “…and the frail elderly who use the internet to give away their life savings.” one of my favorite lines ever. I don’t know why, but it just made me laugh out loud in a pity sort of way.